Made in classical Greek style with the original recipe dating back to 1888, Metaxa Amphora is the marriage of finest spirit, aged in oak for 7 years, with Muscat wines and secret botanicals. The taste is mouth-wateringly mellow – full of luscious richness and complexity. Enjoy neat, with ice or mixed. •Wonderful on its own, in a cocktail or as an after-dinner drink. 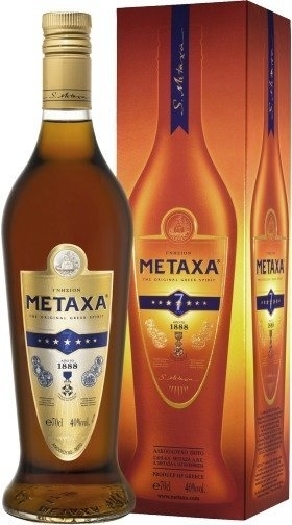 •Metaxa is a spirit in a category of its own. Alcohol, muscat wine, wine distillate, herb extracts, caramel color.